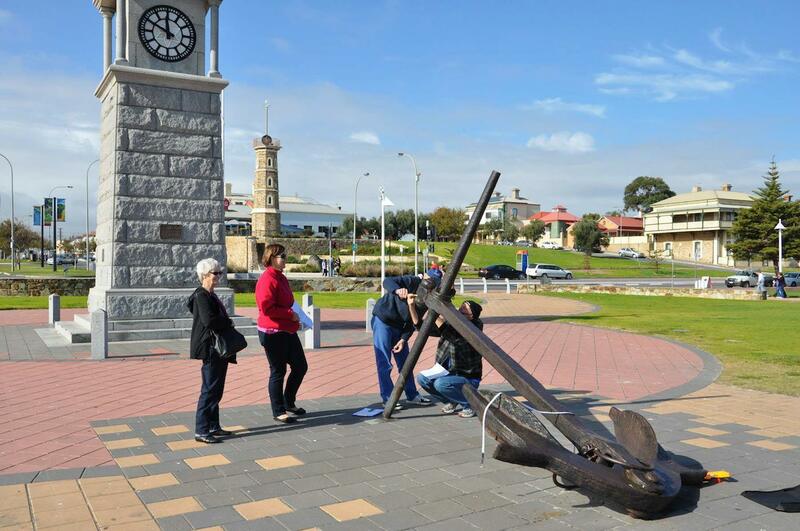 Some Anchor Stories | Marine Life Society of South Australia Inc.
“Star of Greece” author, Paul Simpson says that this large anchor at Semaphore jetty is the swing anchor from the Star of Greece. 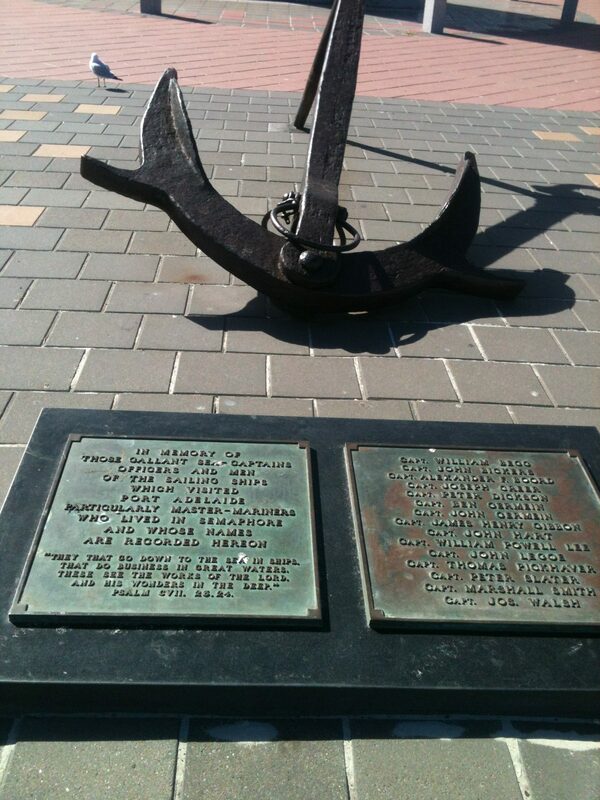 These Trove links indicate that the anchor is part of the “Sea Captains’ Memorial”. 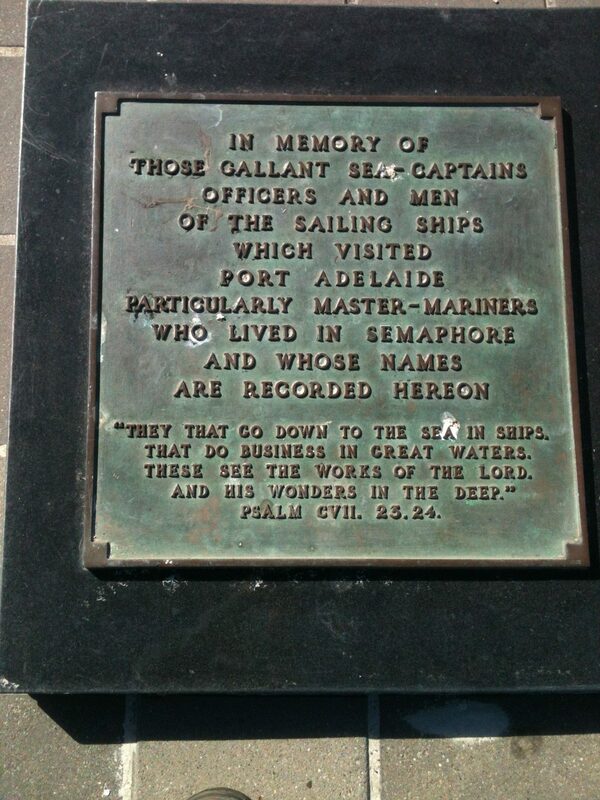 Money for the memorial had been raised through the Sea Captain’s Memorial Fund around 1950. 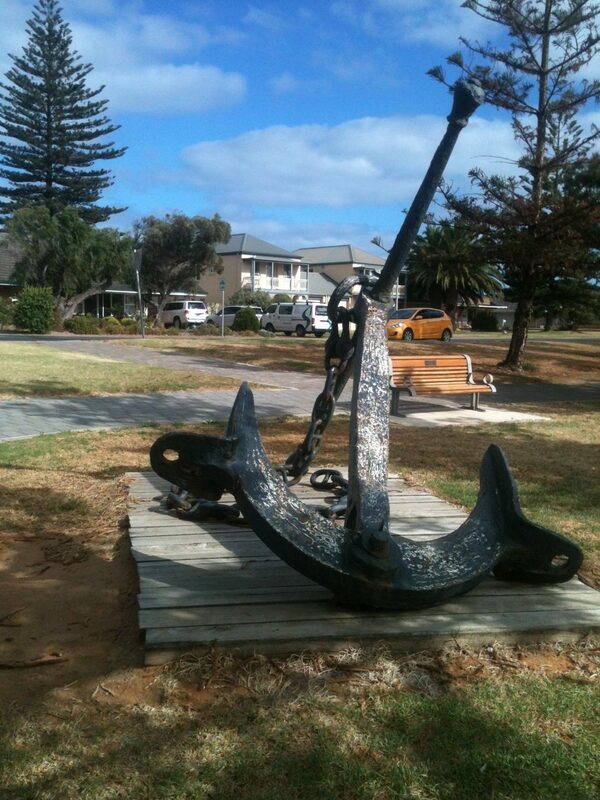 The anchor had been donated by Messrs. J.Dickson & W.Playfair, ship chandlers from Port Adelaide. 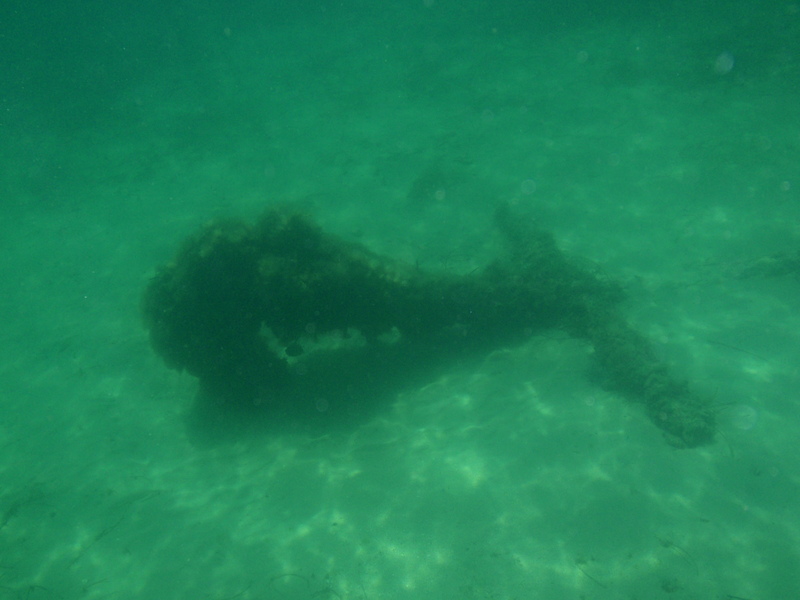 The anchor was described as being 10 ½’ in length and weighing between 25 & 30 cwt. (A ‘cwt’ is a ‘hundredweight’, a unit of measurement for weight. According to Wikipedia, “The hundredweight (abbreviation: cwt), formerly also known as the centum weight or quintal, is an English, imperial, and US customary unit of weight or mass of various values. Its present value continues to differ between the American and imperial systems. The two values are distinguished in American English as the “short” and “long” hundredweight and in British English as the “cental” and the “imperial hundredweight”. The short hundredweight or cental of 100 lb (45.359237 kg) is used in the US and Canada. 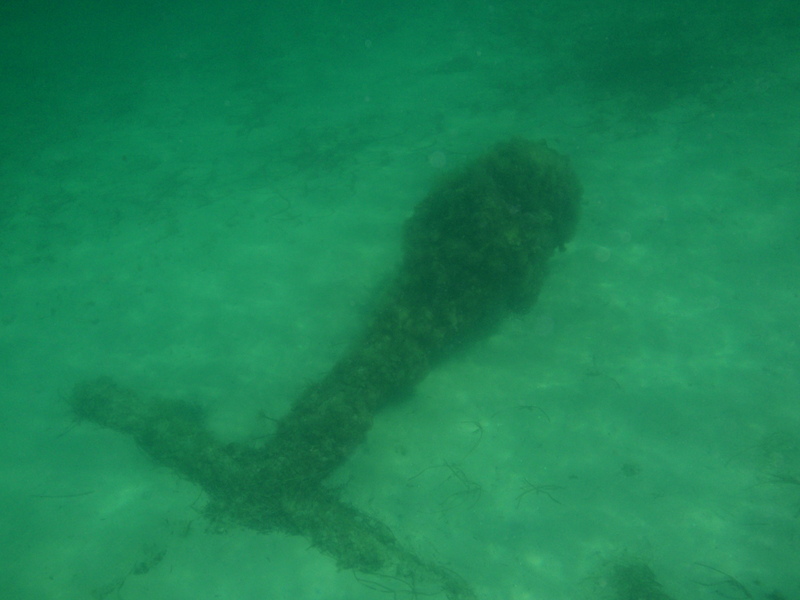 There is every suggestion that the anchor came from the wreck of the Star of Greece. 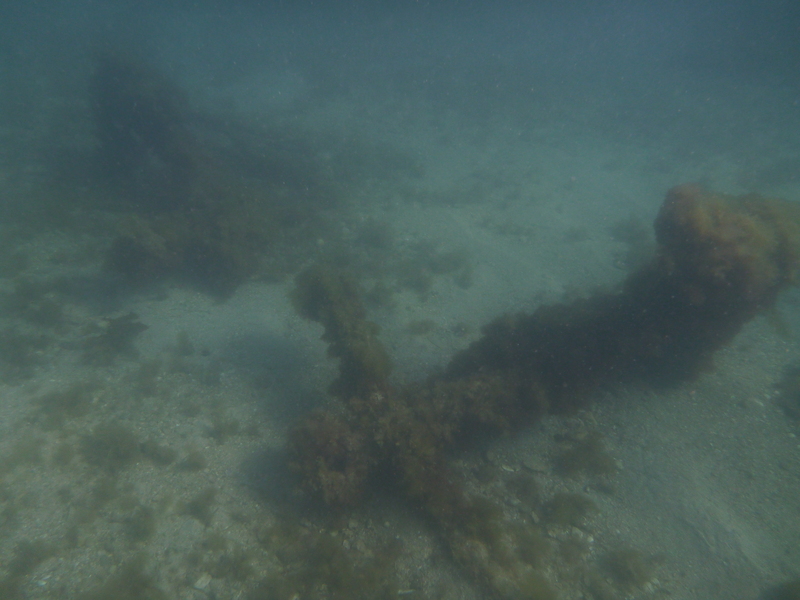 There is also a suggestion that some anchor chain from the wreck was used at the Morgan quarry. 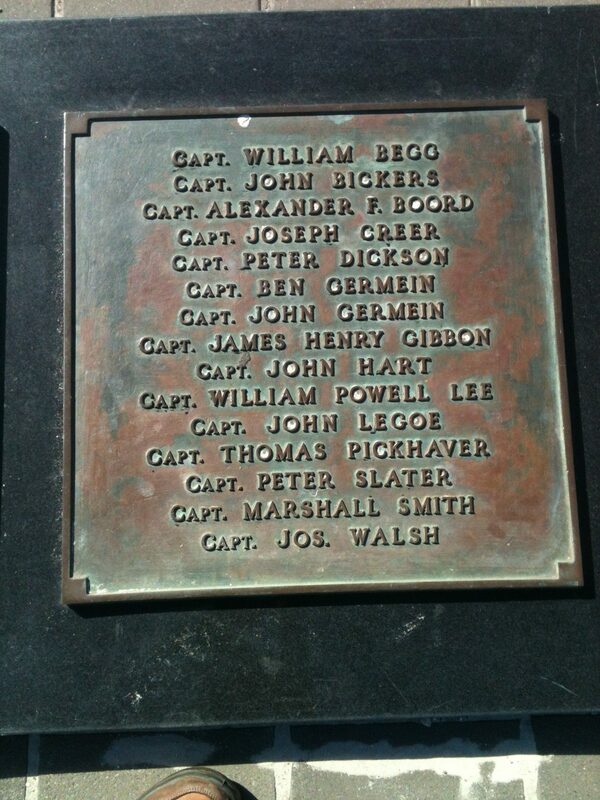 The Sea Captains’ Memorial was built by the Port Adelaide Council. 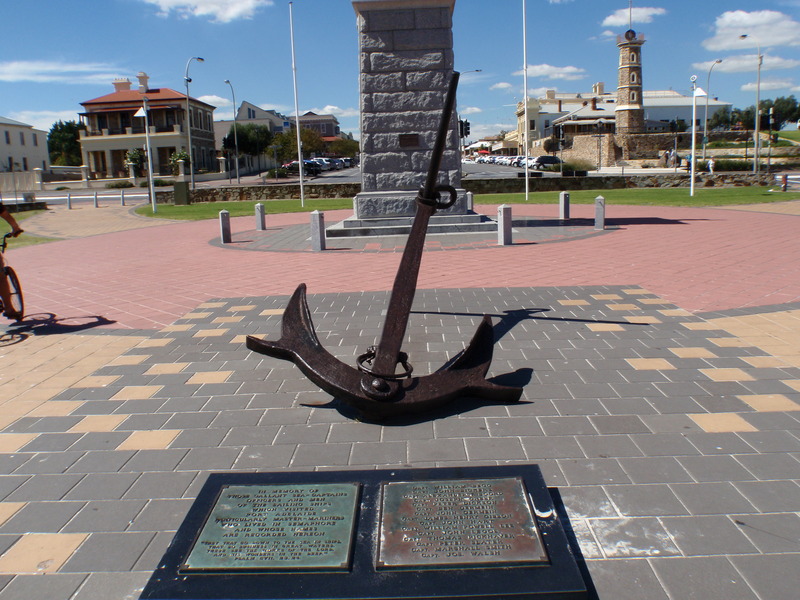 The memorial, along with the anchor and accompanying plaque, was unveiled by the Port Adelaide Mayor, My HJ Moore in April 1952. 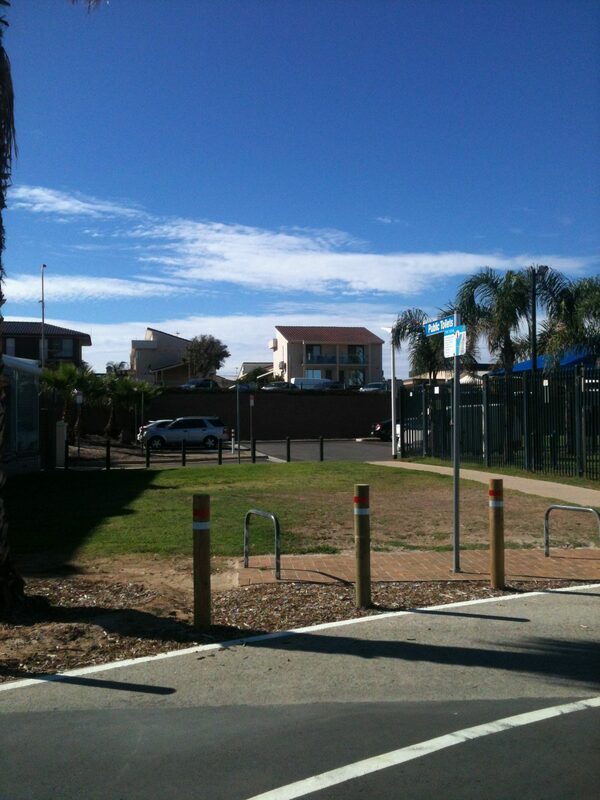 It was originally located just north of the Semaphore jetty, just before the Palais. The Palais had opened in 1922 as the Semaphore Maris Palais Bathing Pavilion. It became the Semaphore Surf Life Saving Club in the 1960s. It later fell into a state of disrepair until it was completely renovated during the mid to late 1990s. 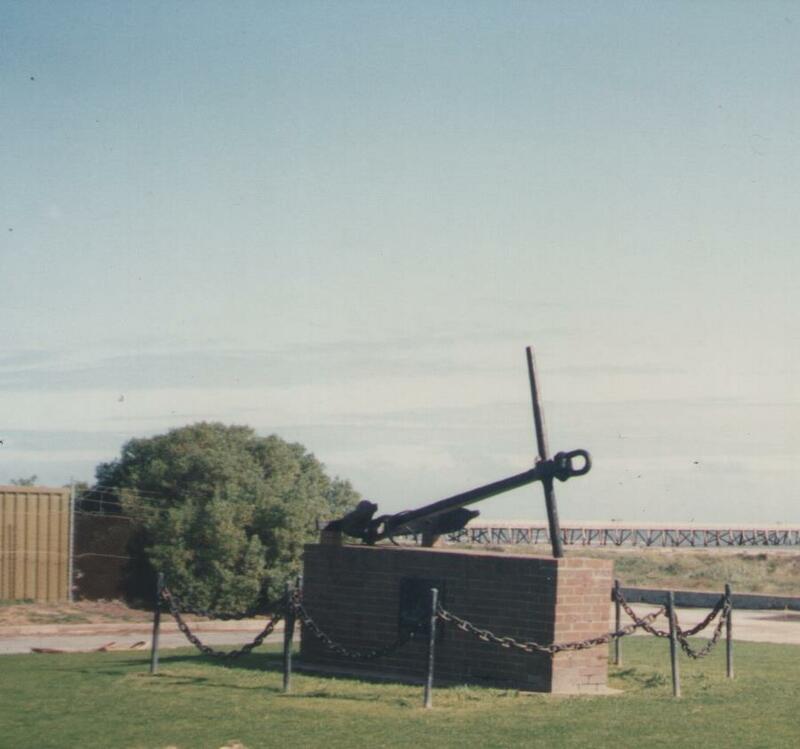 Back then, it was mounted on a large brick wall similar to one at Largs Bay jetty. There was a chain fence around the memorial. The two plaques were set in the brick wall. 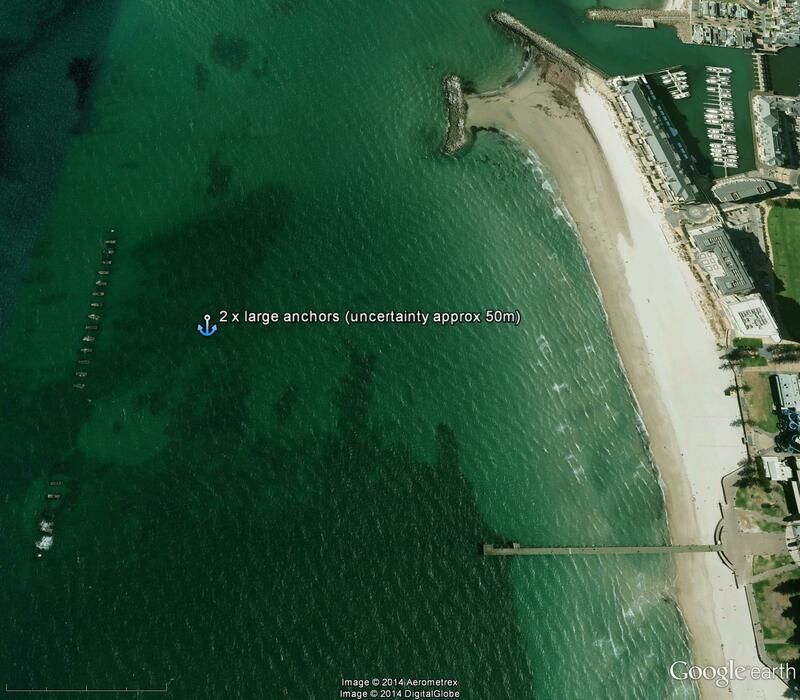 It seems that there are still some previously ‘undiscovered’ anchors still waiting to be found out there! 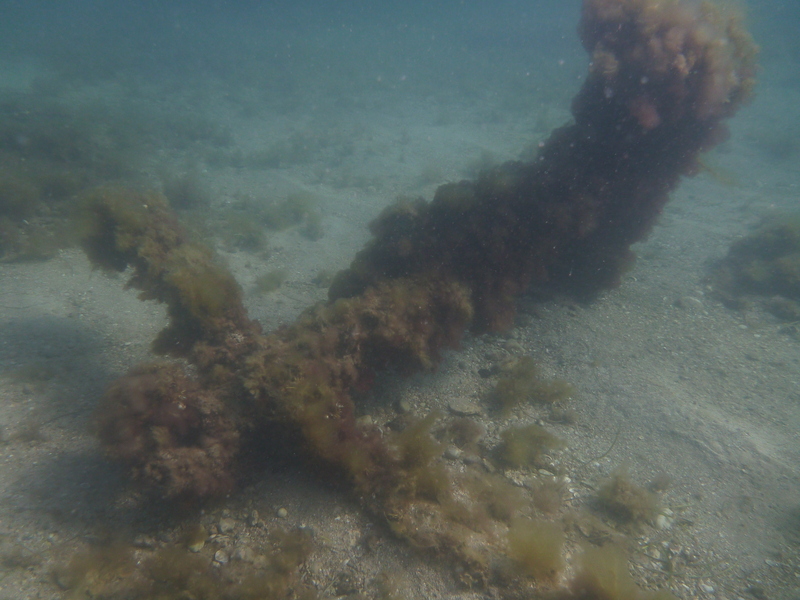 When we reported the recent discovery of the anchor at Edithburgh, we were contacted by Rick Bullers, who replaced Amer Khan as the Senior Maritime Heritage Officer for Heritage South Australia | Economic and Sustainable Development in the Department of Environment, Water and Natural Resources. Rick is behind Australia’s newest citizen science project, GIRT Scientific Divers. GIRT Scientific Divers is a call to South Australian divers (+18) who love diving shipwrecks or other underwater cultural heritage sites. 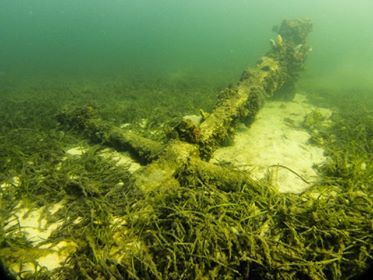 The project, supported by the South Australian Maritime Museum and Heritage South Australia, is part of a PhD research project that aims to better the condition of ship wrecks around Australia and New Zealand and the factors driving shipwreck site preservation or deterioration. GIRT Scientific Divers will be conducting a pilot project between July and December 2018. Interested individuals should email girtscientificdiver@gmail.com . Training will be conducted in South Australia from 23 July to 3 August 2018.